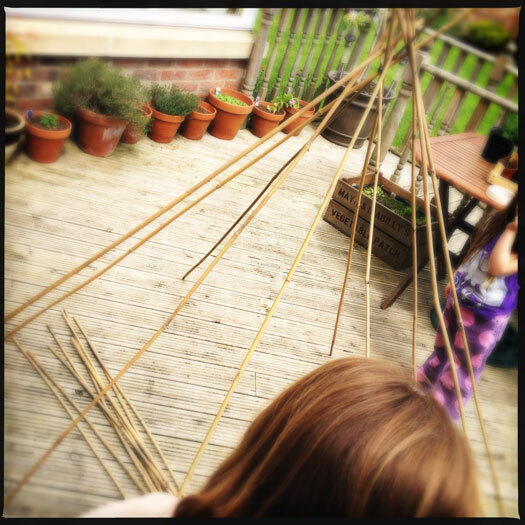 This den is simple when you don’t have a great deal of outdoor space, but still want an adventure. 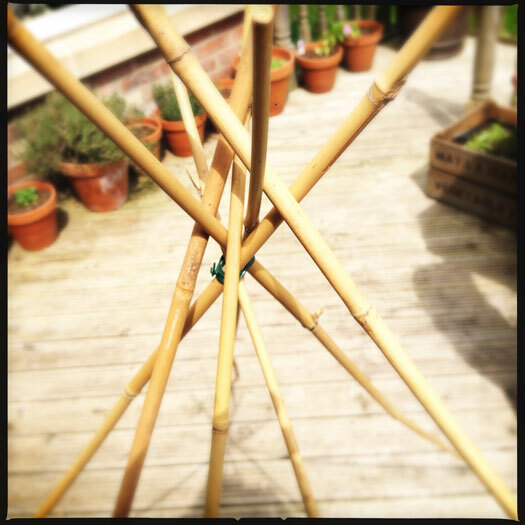 Get as many tall bamboo canes as you can and make them into a wigwam. 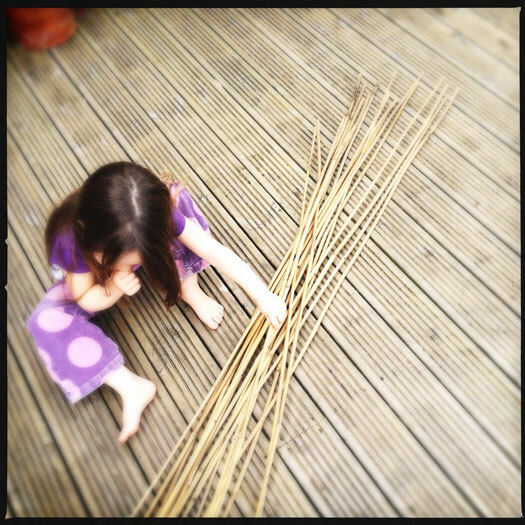 Secure the top of the canes with a couple of loops of masking tape. Pull the bottoms of the canes out so they are steady and not likely to fall over. Get some large blankets and wrap around the frame. Secure in place with pegs. You can also use the pegs to join blankets together to get rid of any gaps. 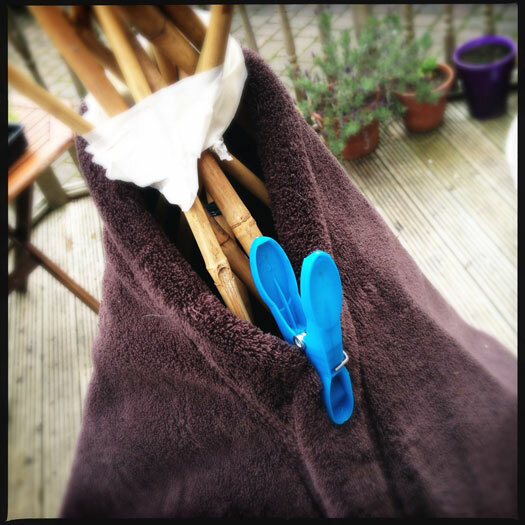 When you are happy with the blankets, add additional pegs to clip them to the bamboo frame. This just makes the den that bit more rigid. 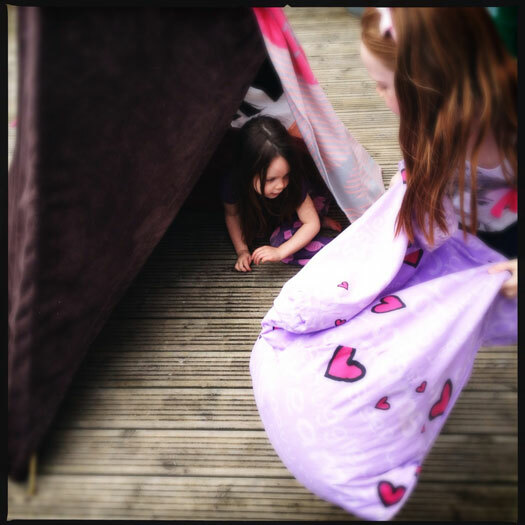 Fill the den with pillows, cushions, duvets, flowers and toys. Admire your work and have a picnic in your new den.